A valuable attribute of theater is its ability to tackle difficult material in surprising and even entertaining ways. Artists, playwrights, directors and actors, as artists, must be willing to reflect life as it is—good and bad—while simultaneously satisfying the need to hold an audience’s attention. The never-before-produced play “Laura and the Sea,” which begins performances in the Department of Drama’s Storch Theatre on Nov. 4, is a prime example. Written by Kate Tarker and directed by Department of Drama faculty member Katherine McGerr, “Laura and the Sea” concerns the employees of a small contemporary travel agency and an unsettling event that occurs on a company outing. Throughout, the characters grapple with questions of isolation, mourning and the difficulty of establishing authentic human connections in the digital age. “The force that propels the play is the struggle to connect in a world that is disconnected,” McGerr explains. “The characters feel deeply but are in an environment where they can’t express what they feel. They are closed off.” At once, they experience the petty and comic ridiculousness of day-to-day living, while struggling with the loss of a respected colleague. The comedy and the pain co-exist, as in the plays of Anton Chekhov and as in life. To address this question, Tarker envisions a reality that embraces three simultaneously represented and specific locales: the office of the travel agency, a pleasure boat on the water near New York City and a blog dedicated as a memorial to the title character, Laura, whose suicide is the play’s catalytic event and a subject worthy of serious consideration. The play’s topics of depression and suicide, though sometimes presented in a humorous way, are incredibly serious and affect many people, McGerr says. Tarker has been working on the play since her days as a graduate student at the Yale School of Drama. Subsequently, she has had opportunities to develop it at the Playwrights’ Center in Minneapolis, Salt Lake Acting Company’s Playwrights Lab and the Eugene O’Neill Theater Center. The Department of Drama’s production, however, represents the first time “Laura and the Sea” will be fully staged for an audience. Tarker attended Reed College as an undergraduate and Yale School of Drama as a graduate student. In addition to “Laura and the Sea” she has written “THUNDERBODIES” and “An Almanac of Farmers and Lovers in Mexico.” Her works have been nominated for the Arnold Weissberger Award, Kilroys List and the Princess Grace Award. She currently lives in Brooklyn. 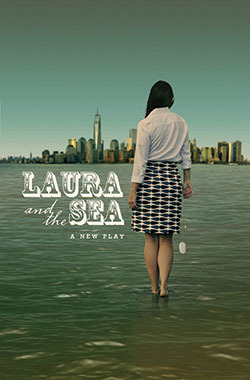 “Laura and the Sea” runs Nov. 4-13; opening night is Saturday, Nov. 5. Tickets may be purchased at the Syracuse Stage Box Office from 10 a.m. to 5 p.m. or by telephone at 315.443.3275 or at www.SyracuseStage.org/su-drama.php.